MetMapper offers to all non-GRIB data what our GRIB Explorer software does for the GRIB data. That is, it will take classical weather data such as weather charts, ocean charts and satellite imagery and render them into interactive elements that carry a map overlay, position vessel and route/waypoint information, display TV-like animations of charts and imagery, window text forecasts alongside your weather chart and enable an array of annotation tools intended to allow the user to more deeply analyze the weather or ocean charts. 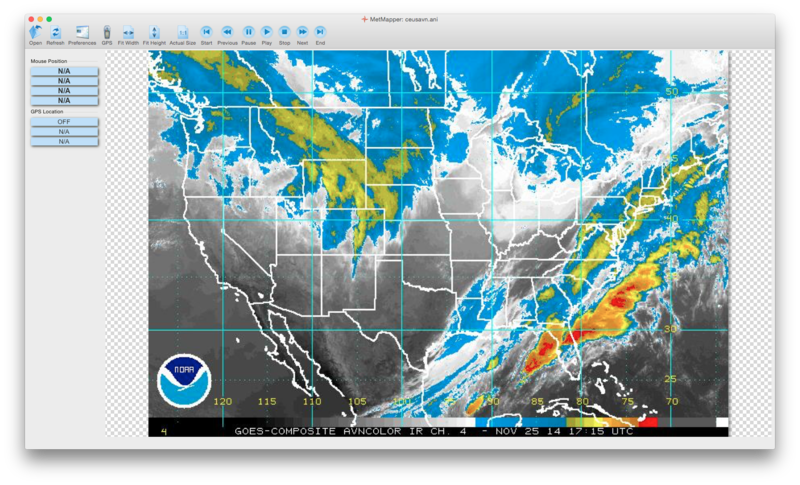 "This new tool allows you to perform basic operations on conventional weatherfax charts, satellite images, radar and most other image products. 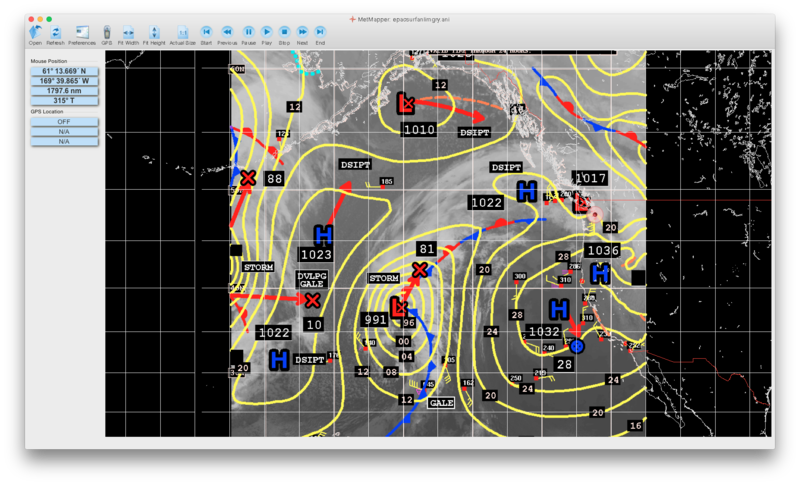 OCENS georeferenced standard graphical weather products and, when viewed in MetMapper, you can click on a low-pressure system in one forecast period, click on the forecast position of that low in the next period, and MetMapper computes direction and distance the low is moving. Your position is plotted by MetMapper. 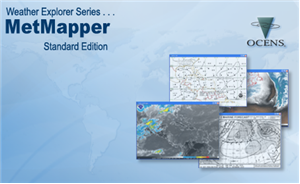 MetMapper can compute range and bearing to the front on a synoptic chart, satellite or radar image." Chris Parker is the author of Coastal and Offshore Weather and prepares forecasts for the Caribbean Weather Center. 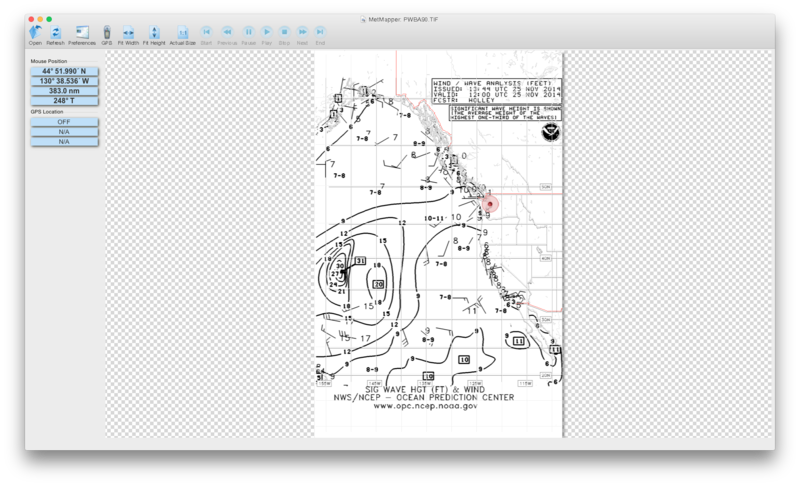 Custom mapping capabilities allow you to create and save map overlays for charts of special interest to you. Plot vessel tracks for one or more vessels and/or fleets delivered to you by OCENS tracking services. Selectable map background hues allow you to tailor MetMapper views to the ambient day or night lighting conditions that you encounter. Create a custom look and feel for your maps by associating geographic grids, political boundaries, coastlines, and geographic features with their own colors and spatial resolutions. 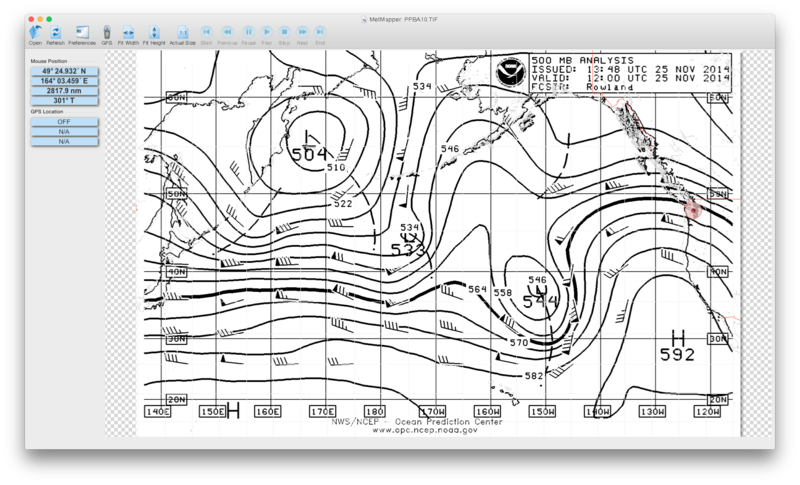 If you are also going to be working with GRIB weather files - OCENS GRIB Explorer is our answer to viewing and working with GRIB weather and ocean data. 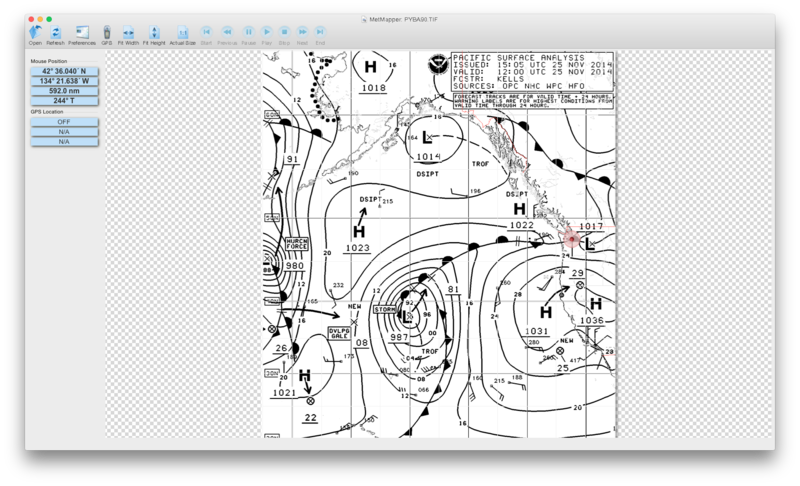 This is arguably the most powerful, yet easy to use GRIB viewer on the market. GRIB Explorer and MetMapper share a similar user interface providing consistency of presentation. Such common ground also permits you to comfortably transition between your views of weather through the MetMapper lens of weather charts and satellite imagery and the weather perspective you gain from GRIB Explorer's powerful rendering of GRIB weather. You can find more information on this product by clicking here. 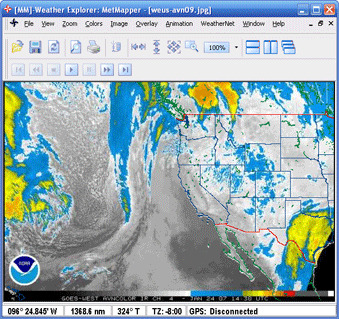 MetMapper's compatibility with WeatherNet provides for seamless data acquisition and viewing of files. You can find more information on this product by clicking here.